We provide CNC Spinning machines for flow forming of different sheet metal jobs. 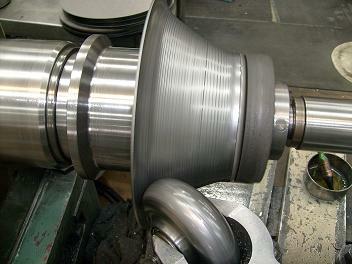 Our cnc spinning machines are specially designed to cater the requirement of metal spinning process. The heavy duty structure of our cnc spinning machines allows for spinng of material with heavy wall thickness. We provide cnc spinning machines with wide range of rpm so that spinning of different materials such as mild steel, aluminium, copper, brass, stainless steel, etc can be performed. Our CNC spinning machines have option upto 8 tool turret so that multiple processes and tools can be used in single setup. Flexibility of our cnc spinning machine allows you to adapt for different kind of jobs easily. Visit www.cncspinningmachine.com for more details.